From NZ with love; a truck for eye outreach ! http://www.wanganuichronicle.co.nz/news/truck-in-sight-after-eye-fundraiser/1293047/) which hosted over 110 people and, thanks to the Wanganui attendees, raised over $NZ5000. The remainder was donated with huge generosity by a private NZ Foundation which specifically targets international projects which have outstanding cost effectiveness (as the Eye Centre does) . The Rose Cambodia Sight Centre / Eye Clinc has now been operating since 1997, some 15 years (at the time of writing). It has treated well over 100,000 Cambodians the majority of who have been extremely poor, giving them free or low cost blindness preventing treatments or restoring sight mainly through cataract operations. 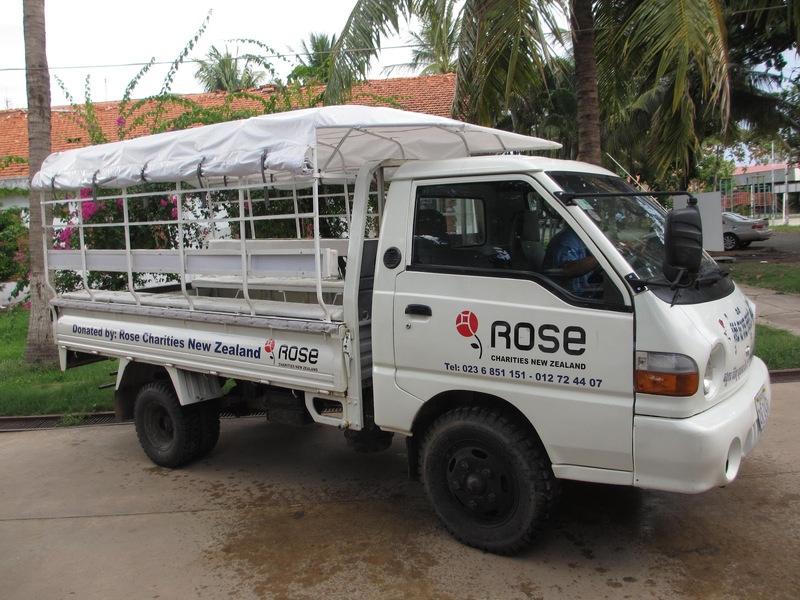 Rose Charities New Zealand’s relationship with the Cambodia Sight Centre was initiated by John Veale (Optometrist Christchurch) in the year 2000 who then introduced Mike Webber and Dr David Sabiston (retired). The three have spent over a decade working with Drs Hang (clinic co founder) and Natalia Vra suppling materials, equipment, and most importantly of all, their considerable expertise to help bring the clinic to the leading eye Centre it is today in Cambodia. In recent years, outreach programs for village level screening and eye care promotion have played an increasingly important role. Some of the roads to the villages become almost impassable in the wet season so a strong vehicle is needed, both for access and to be able to return patients to the clinic. The truck is a fantastic gift, so needed: it will be pivotal in the continuation and expansion of delivery of high quality eye care to poor Cambodians. Thank you Wanganui and other generous donors ! This entry was posted in General interest, Sight Centre. Bookmark the permalink.